Details TBD but you can expect to see me at the Free Spirit Gathering in Darlington MD this June, and at the Starwood Festival, in July. 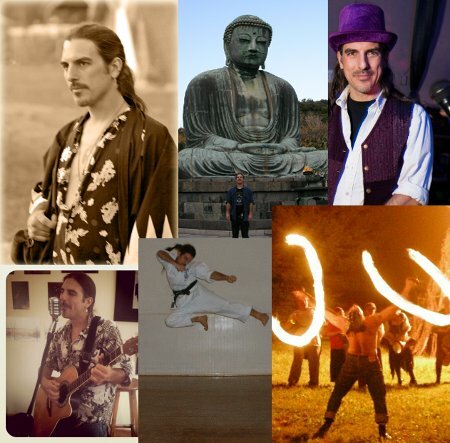 Check out the blog at Patheos: The Zen Pagan. Support my work, buy some merch! The Zen Pagan Merch-O-Rama is now selling coffee mugs, t-shirts, and more. There are also several other ways you can support my work. What Does It Mean For The Gods To Exist? and other essays is now available in paperback and ebook, including a FREE Creative Commons ebook version. I'm looking to do some photo and video shoots for my shiatsu practice, for the website and fliers and a book I'm working on. If you'd like to model in return for receiving the work please contact me. Also you can now request an appointment on-line. I am expanding my practice to include personal training. Whether you've never exercised, are getting your strength back after illness or injury and want to combine gentle exercise with shiatsu treatments, or are already in shape and want a "black belt boot camp" workout to take you to the next level, contact me for a free consultation. If you like, you can follow me on Twitter. Why "infamous tms" and "infamous.net"? Because since the early 1990s, my e-mail address has been <my initials>@<various places>; and before Facebook there was this thing called USENET where we used to argue all the time. So several people who met me in person after knowing me via USENET by my e-mail address said something like "Ah, you're the infamous tms."